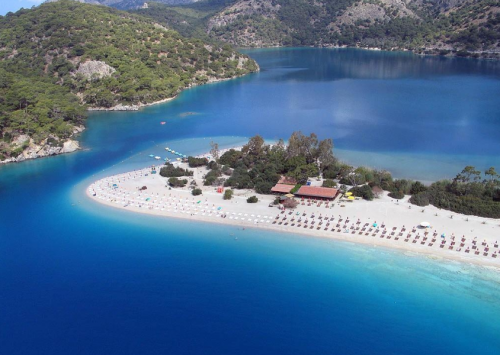 Last minute Turkey: 1 week in 4* hotel with All Inclusive, flight, transfer for €188! German travel agencies now offer amazing prices on holiday packages in Turkey. 1 week in 4 star hotel in Turkish riviera with All Inclusive, return flight from Germany and transfer to/from hotel is now available for only €188! Atlas Beach Hotel is located in Konakli near Alanya and has 85% rating from reviews. Book here in German or for slightly higher price (7281 CZK) in Czech language with free bus transfer from Prague to the airport. « Cheap flights to Thailand: Bangkok for only €388!